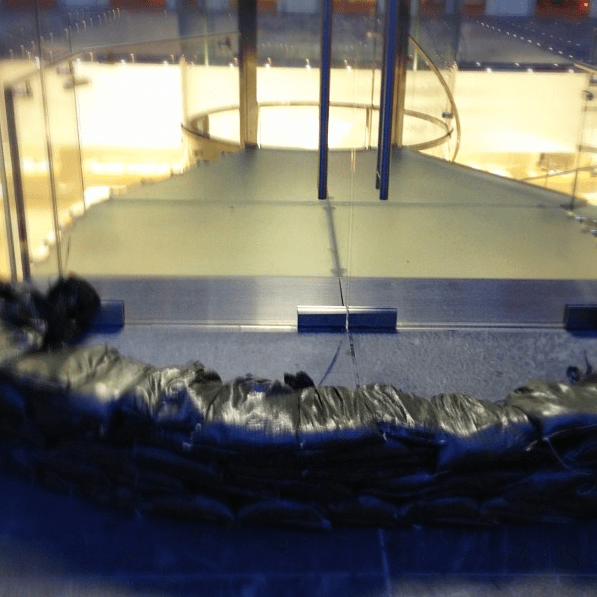 Thanks to Jonathan Wald, producer of the Piers Morgan show, we have some tweeted pictures of the 5th Ave Apple Store as it prepares for Hurricane Sandy. This storm is unprecedented with wind gusts expected to reach up to 80+ mph. 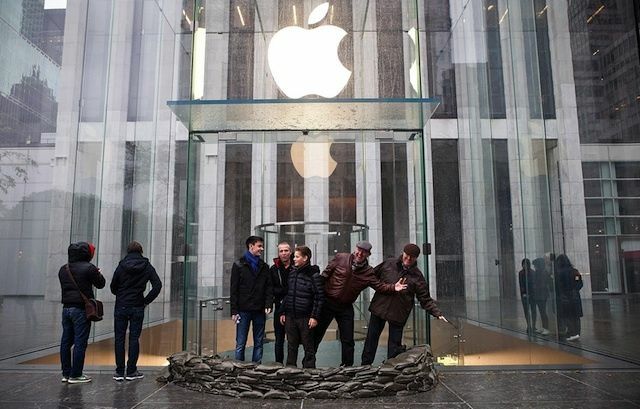 The design of the Apple Store on 5th Ave has large amounts of glass as you can see, and the store is located below ground, so they were forcd to put up sand bags and remove all of their products. I myself live in the NYC area and bridges and mass transit are now shut down. The effect of this storm on the Tri-State area is the likes of something I have never seen. One of the most important dangers we face are the high winds with the possibility of windows and glass breaking. 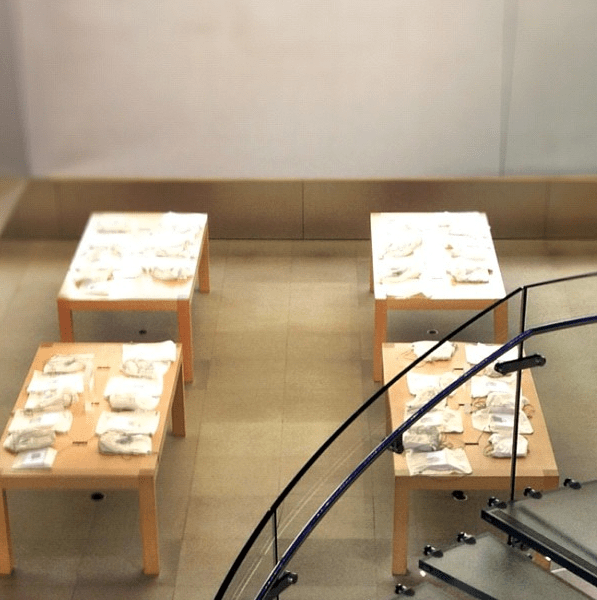 This Apple Store (like most) has such a large amount of glass, so the potential for damage is quite high. To give you a better picture of how the store is laid out, the ground level of the store is one giant glass cube. In the center of the glass housing is a spiral stairwell that cascades down to the actual show room “storefront level.” The amount of heavy rains we are expecting to receive could lead to major flooding of the store front and could cause internal damage to the retail space. To all of our readers in the Tri-state area and all around the Eastern United States, please stay safe as Hurricane Sandy continues its path towards the North.